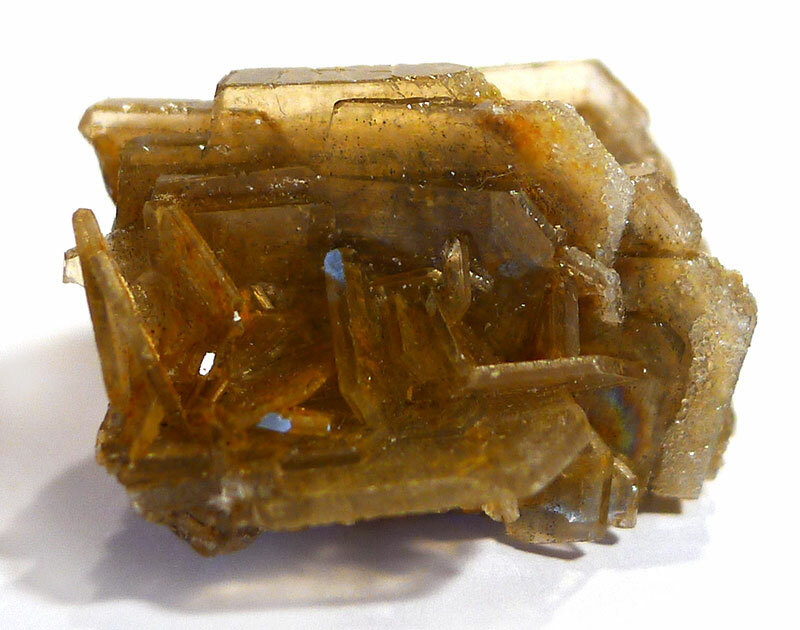 Baryte’s primary gift is expansion (as in inner expansion), often followed by release. Most of us will hold stress, old trauma, or even over-thinking ‘monkey mind’, as tight little bundles of tension within the body or mind. Baryte can relax the over-wound mechanism. The colour will have a direct bearing on where this expansion takes place, so each variety of baryte has its own unique qualities. Honey Baryte (gold, honey-coloured to olive green baryte from China) focuses straight on the emotional heart, expanding the Heart centre and gently releasing old, held emotions. When holding or meditating with green-gold baryte, whatever is released feels as if it expands outwards away from the body and simply dissipates. But when working with a client, it feels more likely it is clearing downwards through the legs and into the Earth, leaving the client feeling much more present in the body. This release and clearing goes further, helping to eliminate the energetic effect of drugs from the body, and is especially helpful when working with a client who is trying to overcome addiction, or on prescription pain medication or antidepressants that tend to cloud energy and block treatment. Baryte is a common accessory mineral in lead and zinc veins, and is also found in limestone, marine deposits, and cavities in igneous rocks. It is the primary ore for barium, making it economically important, as it is used as drilling mud in oil and gas production, a filler in paper and cloth, an inert body in coloured and white paints, and in medicine for imaging the gastrointestinal tract (barium meal). 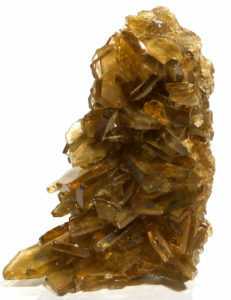 Baryte occurs in a wide variety of habits, including tabular and prismatic crystals, and cockscomb aggregate. It is typically found as thick to thin tabular crystals, usually in clusters with the crystals growing parallel to one another, or nearly so, and also as bladed, white masses. It is surprisingly heavy for a non-metal, and would make a beautiful gemstone if it wasn’t so fragile. For the same reason, it is never polished or fashioned. Named in 1800 by Dietrich Ludwig Gustav Karsten from the Greek βάρυζ, “heavy”, due to its unusual heaviness for a non-metallic mineral. There are no traditions associated with this mineral.